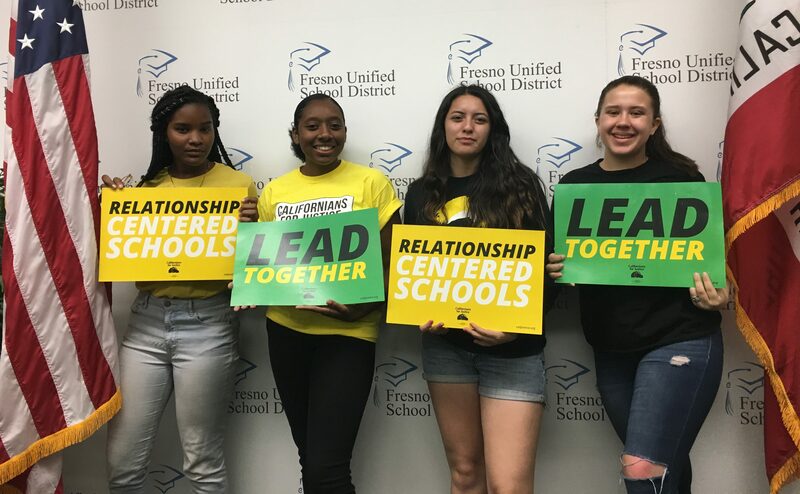 For four years, CFJ student leaders have been working with parents and community leaders to make the promise of equity real in the Local Control and Accountability Plans (LCAPs) – school districts’ annual budget and goals. 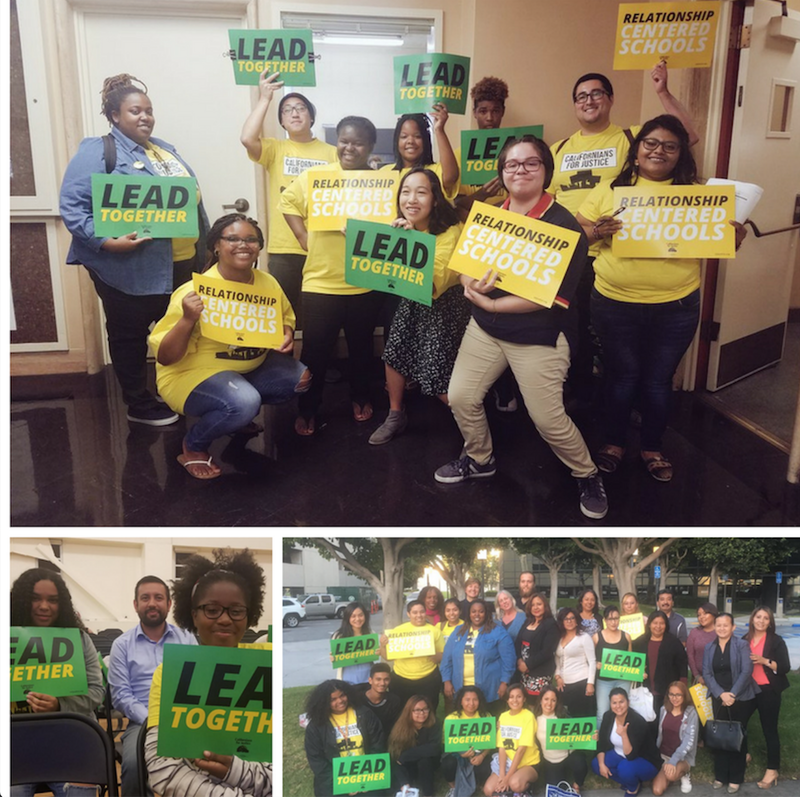 This year, CFJ leaders have harnessed the power of the LCAP to uplift student voice and transform their education with a focus on Relationship Centered Schools. In Fresno, youth have worked to implement restorative justice programs and build a new way of educating young people, through relationships and support rather than punitive and discriminatory discipline policies. Just this year, students have moved the district even further, winning $68,000 to convene youth, teachers, and families to create a district-wide vision and plan for Relationship Centered Schools. We are thrilled to have won this victory and to be a part of the team advancing an innovative vision for education in Fresno. In San Jose, CFJ has achieved a huge victory for youth voice, marking a collective shift in San Jose schools to invest in relationship centered programs that help young people succeed. East Side Union High School District’s most recent LCAP includes goals that directly connect Relationship Centered Schools to improving graduation rates and decreasing suspensions. Both goals set the stage for deeper investments in Relationship Centered Schools in the coming school year. In Long Beach, youth moved the district to invest in restorative justice three years ago, and now we are working with the district to value relationship-centered practices. This year, students are focusing on demonstrating the power of the Relationship Centered Schools model at Cabrillo High – where they have been successful in winning the creation of a task force that will implement relationship-centered practices, including deepening restorative justice on campus to make the case for Relationship Centered Schools and show LBUSD that Relationships Matter! In Oakland, where investing in relationship centered schools has been a district priority, the key challenge they face is the devastating teacher shortage. 75% of California school districts do not have enough qualified teachers. This year, the Parent and Student Advisory Committee for OUSD has named teacher retention as a top priority for the district budget and will be advocating to maintain teacher retention funding sources through the current budget crisis, particularly for programs that reduce class sizes, train new teachers, and provide teacher collaboration time.